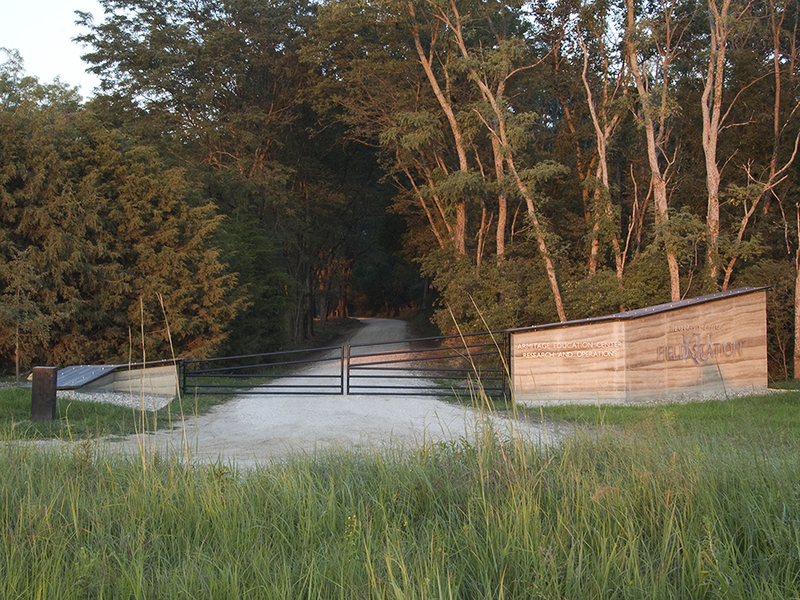 The Dirt Works Studio was invited by the University of Kansas Field Station to design and build a new entrance gateway to their Research and Operations offices and the Armitage Education Center. 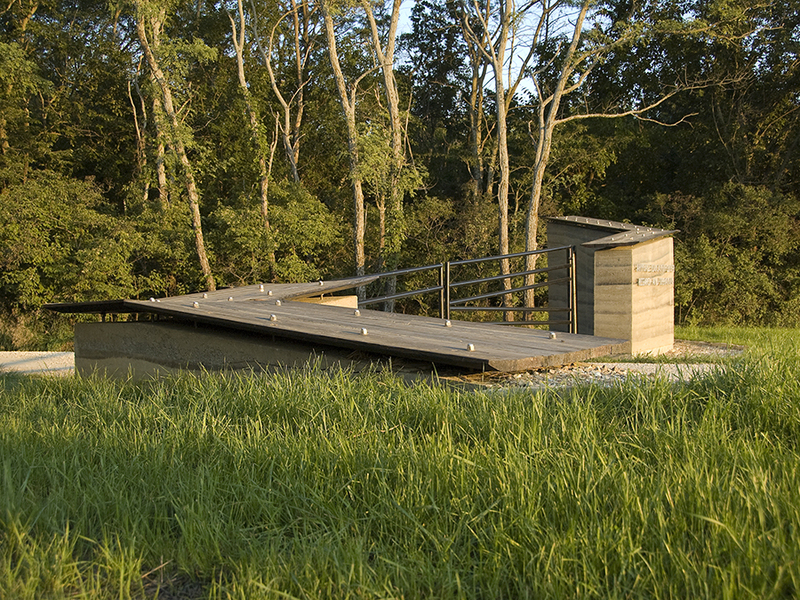 The site is located in northern Lawrence, Kansas. 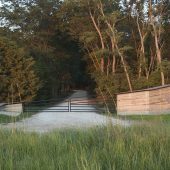 A thirty-five foot long rammed earth wall rises from the earth, as the site’s surrounding trees rise up from the prairie landscape. 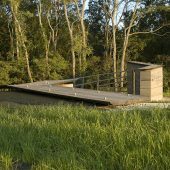 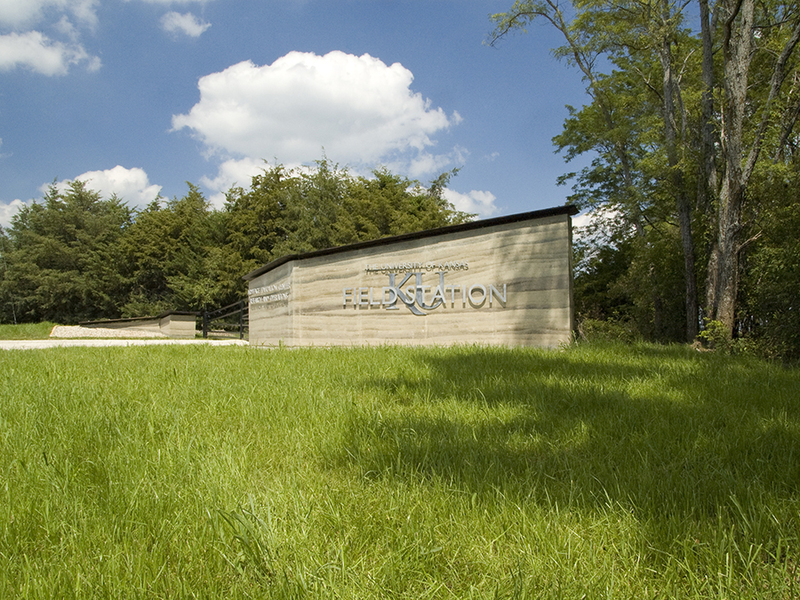 The Field Station Gateway will serve as a threshold between the surrounding landscape and the Field Station, offering signage and direction to those visiting the site, as well as paying homage to the prairie environment surrounding it. 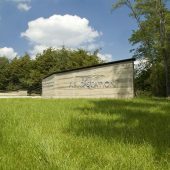 Research Question: The studio continued its research into earthen architecture, focusing on forming techniques and industrial byproduct admixtures.